How cool to have your own personal robot follow you around and carry your things! 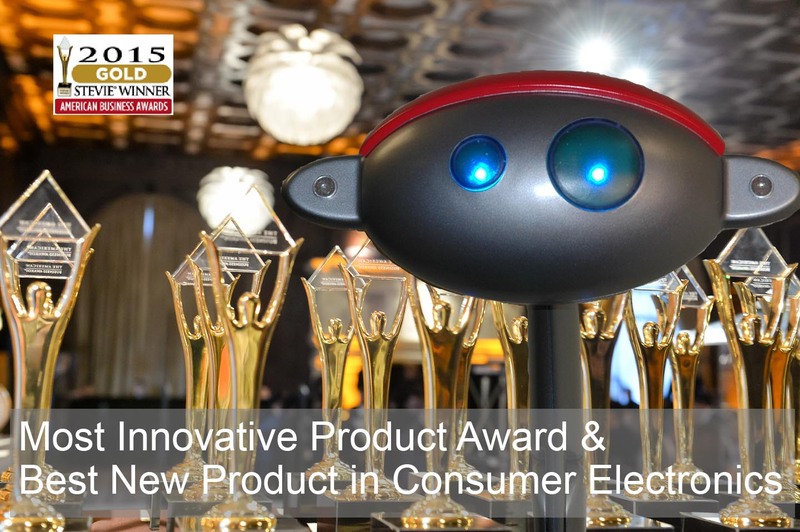 Budgee wins the Gold New Product Award for Consumer Electronics! Budgee™ named One of Most Unique Tech Devices out of CES by AndroidInfo.Net! CoolThings.com writes feature article on Budgee™! Budgee™ featured in BBC Robotics Article! USA Today Writes About Budgee™! Look like a movie star with your own personal robot! He carries your things so you don’t have to. Budgee™ is sleek and sophisticated. Turn heads as you arrive at the conference with your robotic personal assistant who follows your every move without missing a step. 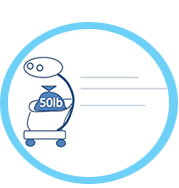 Let Budgee Bot™ worry about carrying all of your essentials, leaving you hands free to negotiate and make the deal. Make sure your first impression is a good one with Budgee™. Moms often have more items to carry than hands. Budgee™ carries all the things that Moms have to take with them when out and about with the kids. Maintain your tranquility and keep your hands free to manage your children and your time. Budgee™ is a Mom’s best friend! Tired of struggling with your luggage at the airport? Travelling is carefree with a robotic assistant to follow you around while carrying your luggage. He folds up for easy storage and carries your bags so you don’t have to! 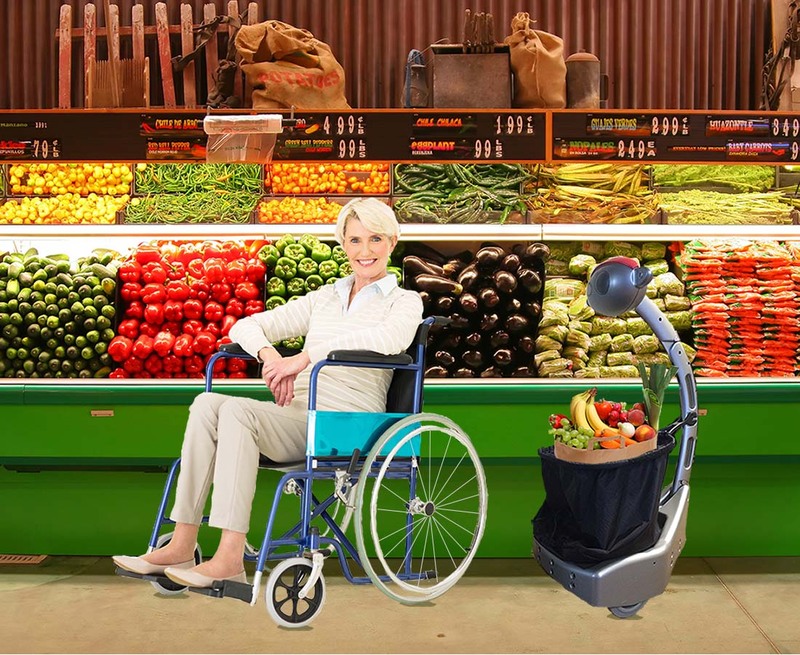 Budgee™ makes shopping in a wheelchair a breeze! 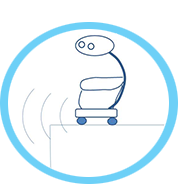 The transceiver mounts easily to the back of a wheelchair and allows Budgee™ to follow you throughout the store. A simple controller allows you to drive Budgee™ in front of you to put items in his basket. Budgee™ is great for the home, too. You can use a smart phone or tablet to program Budgee™ to carry laundry or dishes to another room. Budgee™ is great for operation inside and outside. He can travel over sidewalks and streets, and is able to safely travel up and down handicap ramps. He greets you warmly when he is turned on. He will also tell you when his battery is getting low, when he can’t find you, when he is in manual mode, when he is in follow mode and a variety of other status messages. Budgee™ keeps you informed by talking to you through your smart phone or tablet! Budgee™ folds up for both easy transportation and storage. He easily fits in the trunk of your car and weighs only 20 lbs, making him easy to lift. In his folded state, he is convenient to store in tight spaces with dimensions of 18″ x 20″ x 12″. You can drive Budgee™ manually using a joystick on your smartphone or tablet (Bluetooth Low Energy interface required). Simply download our application software to your device then you can have lots of fun and impress your friends driving your Budgee™! Budgee™’s sound tracks are customizable so that he will speak in most languages. The USB charger is also available in a variety of country specific electric outlet configurations. Everyone has different stride lengths, so Budgee™ has a customizable feature to allow you to set the follow distance that you are comfortable with.  The Transmitter is 1″x 1″. It comes with a clip for you to attach it to your belt, back pocket, or pocket book strap. Budgee™ knows which transceiver is yours and will only follow the one that belongs to you. Budgee™ turns on and off simply by pushing the button on his head. You can put him into manual or follow mode using the same button. He is easy for anyone to operate! If you don’t own a smart phone or tablet, you can purchase the small remote control device as an alternate, simple way to drive Budgee™ manually. You can change Budgee™’s eye color to be any color on the color spectrum. Have fun customizing your Budgee™! Budgee™ comes equipped with obstacle and cliff sensors so that he will stop before running into objects in front of him. He will also stop before going over a cliff (such as a stairway or other surface drop off). Budgee™ is safe to operate around pets and children and in public places. Budgee™ is Strong and Fast! He can hold up to 50 lbs and can follow up to speeds of 4 miles per hour (the speed of a fast stride). Budgee™ talks to you through your smart phone or tablet using Blue Tooth Low Energy Interface. His voice tracks are customizable, so he can say what you want him to say to alert you of his status. 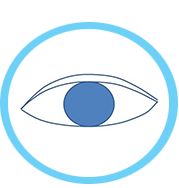 Budgee™’s eyes blink to let you know his status – whether you lost or picked up your signal or switched to manual mode or follow mode. Budgee™ will play music to alert you of his status – whether he was powered on or off, lost his signal, or has a low battery.